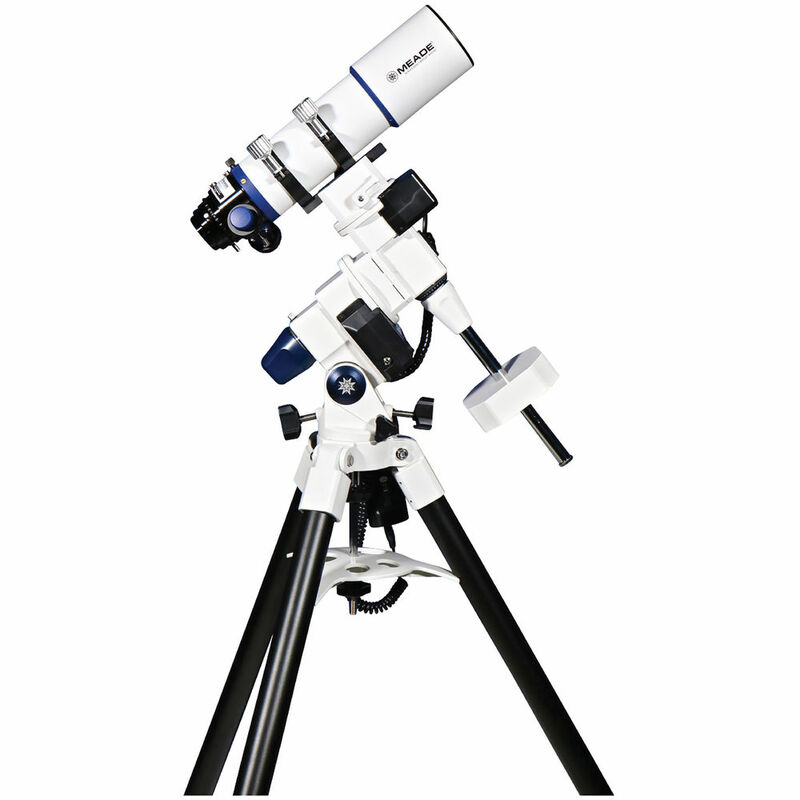 Engineered for performance during observation and astrophotography use, the Meade Instruments LX85 80mm f/6 APO Refractor GoTo EQ Telescope combines the clear views of a triplet apochromatic with the precision tracking of a computer-controlled motorized equatorial mount. 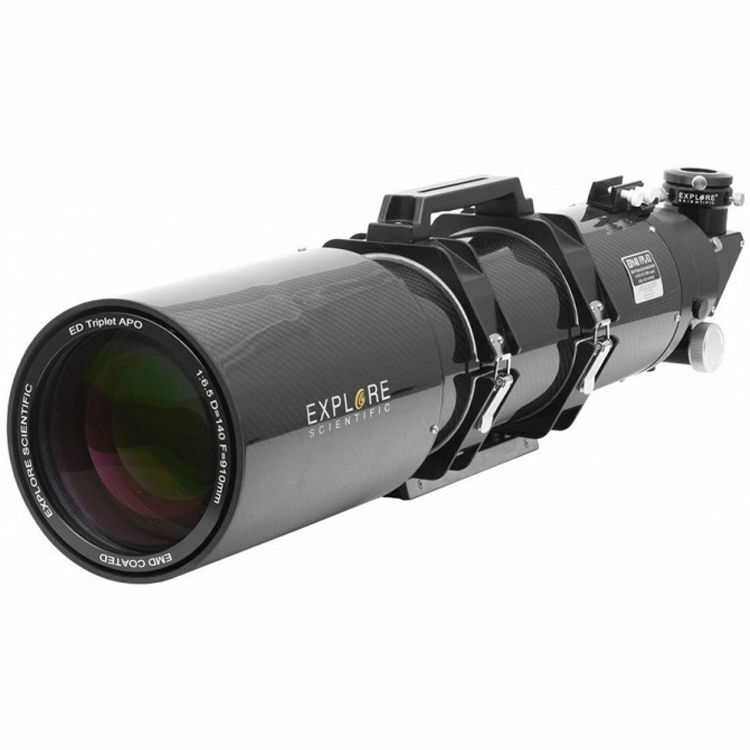 The optical tube assembly (OTA) is built to deliver exceptional image quality through the use of an triplet apochromatic lens system that virtually eliminates chromatic and spherical aberrations. 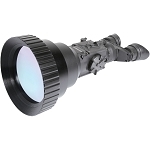 Off-axis comas and color fringing are further corrected through the use of FPL-53 extremely low-dispersion glass and anti-reflection fully multi-coated optics. The resulting views color-accurate as well as crisp and sharp with almost no distortion across the entire field of view. 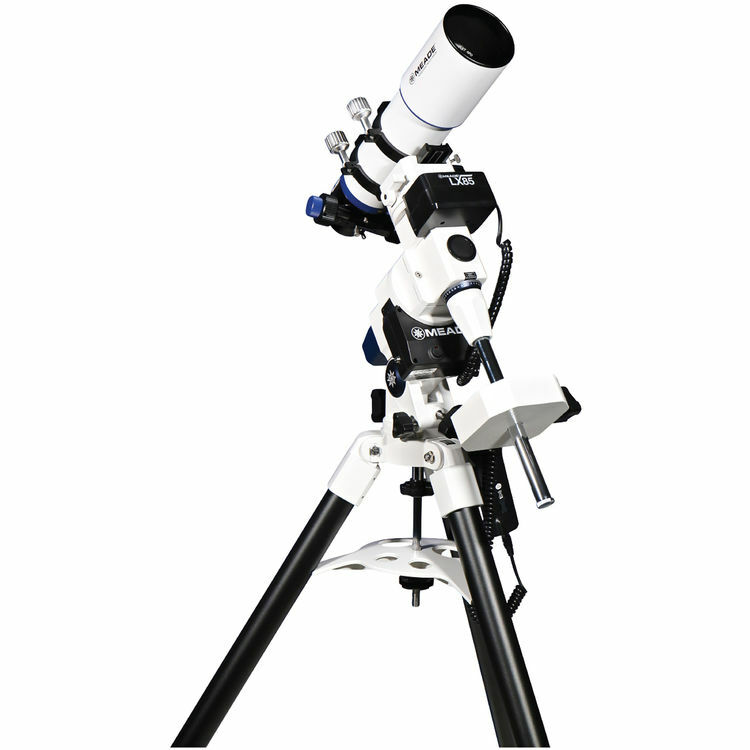 Added to this already impressive performance is a sturdy two-speed rack-and-pinion focuser that can carry heavy loads without flexing, which terminates with a 2" holder for eyepieces and accessories. 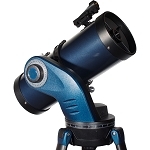 A 1.25" reducer adapter is also provided to use smaller eyepieces and accessories. 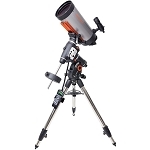 The 2" holder unscrews from the drawtube for the direct connection of astrophotography gear, allowing users to take full advantage of the drawtube's large diameter to completely cover today's imaging sensors without vignetting. The mount delivers the performance required for clear views and images with dual-axis low-cog DC servo motors with backlash compensation. 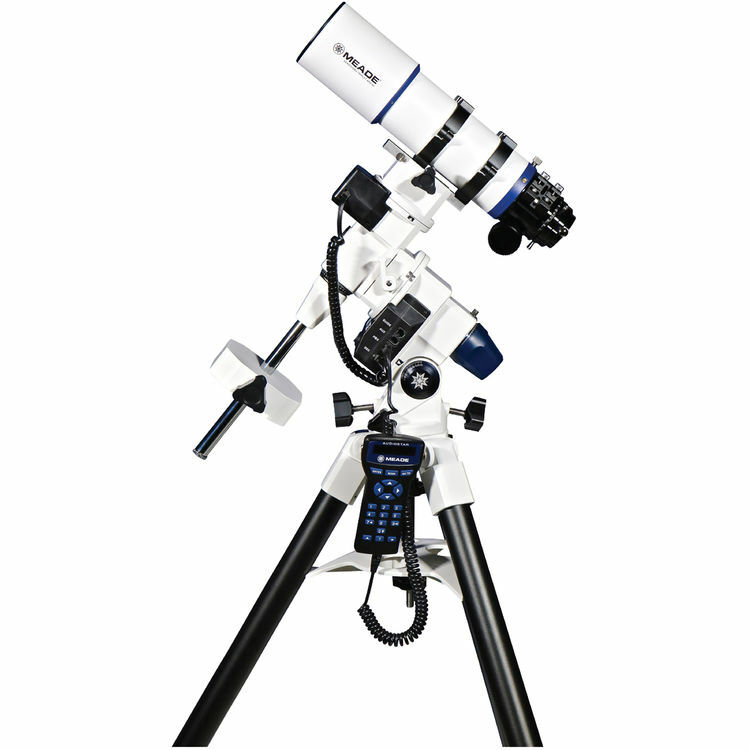 Added to this is Meade's proprietary Smart Drive system that records and constantly refines its Permanent Periodic Error Correction (PPEC) to improve positioning and tracking precision and ensure your target object stays centered for long-exposure photography. 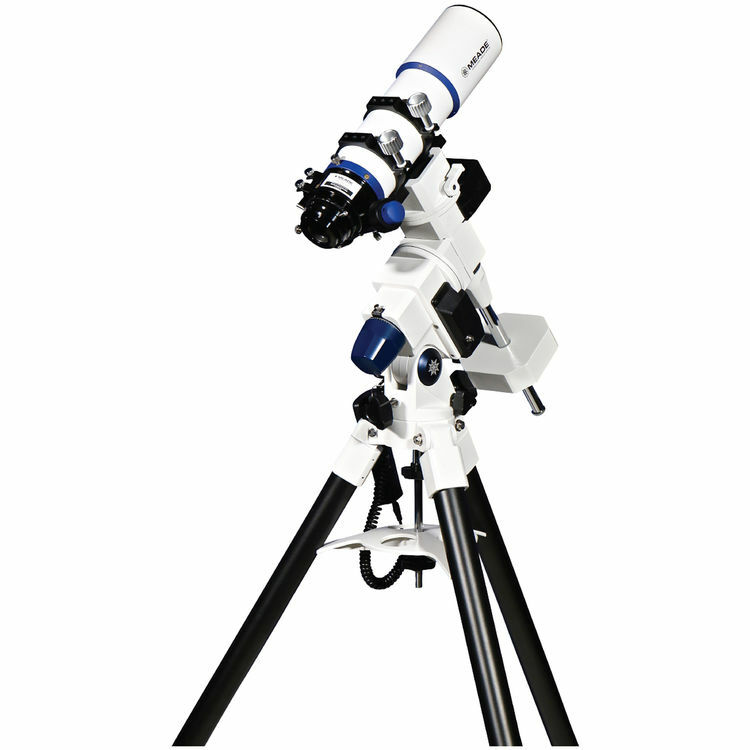 Supporting the mount is a 1.75" stainless steel tripod that has a wide stance for stability on most terrain, and a center tray that holds eyepieces and accessories and acts as a leg lock to further stabilize while helping to minimize vibrations.